What is "The Connected Kitchen" Exactly? Home / News / What is "The Connected Kitchen" Exactly? The foodservice kitchen connectivity has nearly become real. All the resources needed to implement it are available, and with each day, costs are going down. Technology companies have done a lot of research in food service connectivity, and the benefits that foodservice connectivity can bring are now shared on all platforms. Put simply, the connected kitchen is a form of smart kitchen controlled remotely from a mobile device, and that is not all that it has to offer. According to the chatter, the connected kitchen will enhance product consistency while minimizing human error. It will minimize food wastage and reduce energy consumption, enhance the safety of food, cut down on labour costs, make appliances more efficient and lengthen their operating lives. While in the kitchen, data is shared efficiently between equipment and mobile devices, and foodservice operators can access that data, in real time, in cloud. Not only is data easy to access but it can also be acted on either automatically or remotely; this efficiency will enhance the satisfaction of guests and up the profits for hoteliers. Much of the foodservice connectivity is already happening thanks to technological advancements. However, a fully integrated foodservice connectivity will have to stay as an idea for a while. The idea is already in the pipes, but according to David Zabrowski, the general manager at Fisher-Nickel, we are 10 years away from achieving a fully integrated system. There are still some hurdles even when the technology is there. The cost of implementing such a system will be high. Nonetheless, there is a host of factors hiding under the cost veneer. Refusing to accept change, cyber security and ignorance are among the main hurdles. 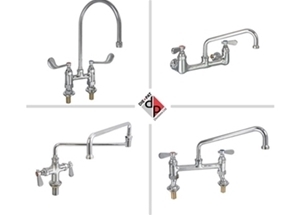 Most of the kitchen equipment, according to Zabrowski, are gas fired and as such, they are not metered to receive connectivity. However, Fisher-Nickel has been testing a prototype to get around that hurdle. 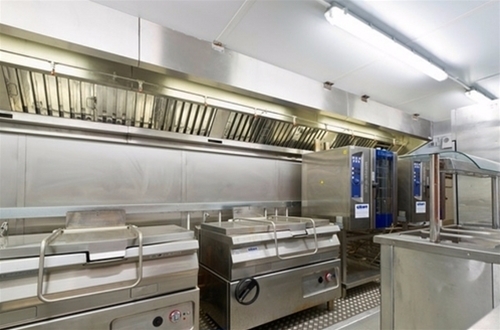 Zabrowski observes that connectivity in lighting equipment, refrigeration, and HVAC systems has already matured, but there is still more that needs to be done in the kitchen to attain full connectivity. This, according to him, is instigated by the fact that there are so many manufacturers of kitchen equipment and none of them is on the same page with the other. 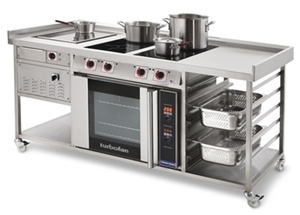 The lack of a platform where all kitchen equipment suppliers can share is a hurdle to the connected kitchen. In 1999, NAFEM (North American Association of Food Equipment Manufacturers) tried to bring the suppliers together through the NAFEM Data Protocol Committee. The move was a response to the chain restaurant operators who had requested to have a way of connecting their kitchen equipment to the internet. The findings from the subcommittee were implemented in 2002. After a couple of changes, the data protocol was re-introduced in 2013 as Version Three. Speaking on behalf of NAFEM, Charlie Souhrada explained that Version Three is much simpler as it is a structure that shows how different equipment can communicate. The earlier model was designed to operate on Ethernet seeing that wireless connectivity had not gained roots. NAFEM has since discarded the earlier data protocol and moved on to wireless models. Souhrada continues to say that the earlier models were an inconvenience in a commercial kitchen and manufacturing since most operators need different ways of transmitting data. There was a lot of internal confusion on the use of the protocol; the most conspicuous concern was who was to control kitchen equipment. Were they to be controlled by the suppliers or the IT department of foodservices? The new model comes simplified, and it focuses on how data will be transmitted consistently from one equipment to the next. What Does the Data Protocol Do? According to NAFEM, the data protocol is a system that allows real-time transfer of data. This system aims at addressing the foodservice issues including asset management, energy management, food safety, labour management and product/inventory management. There are a lot of benefits that can be gained from a connectivity which is data protocol enabled. For instance, a flyer can communicate to the manager through a laptop or a handheld device requesting the manager to relay information on cook cycles, energy requirements and shortening temperature. The flyer can also receive data (through the same channels) in the form of commands to regulate temperature, adjust cook cycles and other operating basics. When the heating element of the flyer draws near the end of its functional life, the flyer sends an alert to the manager. The first step will be to call the repair service and also the reduced equipment downtime. The model number and the exact replacement parts of the flyer can be accessed through the service provider. Before the heating element fails, the operator will have replaced it. According to NAFEM, the data protocol allows equipment to communicate across the board irrespective of their brands or models. This allows hoteliers and foodservices operators the flexibility to buy their equipment of choice and use different software to manage their kitchen. The protocol exists in the market today and is already learning in some chain restaurants. However, it has not been fully embraced by food operator and manufacturing communities. Many are going for smart equipment that have been designed to also enhance kitchen operations and side-lining kitchen connectivity and inter-kitchen-equipment communication gathering dust in the NAFEM offices. There are a high number of technologies that are standing in the way of the connected kitchen. Dan Heroid, University of California, says his food services operation at the university has implemented a number of technologies that offer services kitchen connectivity could offer. These include robots, HACCP temperature monitoring from a web-based platform, RFID meal carts tagging, display systems showing orders in real time. On top of these systems, there are performance measures placed on kitchen staff in the kitchen. Even with all these systems, Heroid agrees there is still need for kitchen connectivity. Heroid observes that the NAFEM data protocol has not done enough in terms of foodservice management and safety. According to him, equipment manufacturers are still producing equipment that do not match in data front. He quips that operators are looking forward to having a backend food operations system that can be connected to a POS and then the whole system connected to an online user loyalty program. This has been done in other industries for many years. However, in the food industry, there are many vendors involved and thus achieving a common goal becomes a problem. If the connected kitchen was to be a success, there is a lot that needs to be done; a platform developed by a third-party technology company should be able to aggregate data from different points/departments of a foodservice and transmit it to a central location. According to Henroid, the dream of every foodservice operator is for all data, irrespective of the source, pulled together in one living display. Because there is a lot of disparity, this has not been achieved. The foodservice industry has a lot of benefits to reap from integrated kitchen connectivity. However, for true connectivity to be achieved kitchen appliance and equipment manufacturers need to have cross-communication and there is need to have centralized data control. Most manufacturers are now producing smart equipment that are connectivity ready but there is still; a missing link. In other industries, there is a middle layer integrators, this is the missing part the puzzle needs to attain success in the foodservice connectivity. Many players have to do their part for the success of the connected kitchen; these include manufacturers of controllers, equipment and POS systems. The systems, according to Zabrowski need to be open source and not proprietary. Is the Industry Ready for The Connected Kitchen? It is easier for equipment manufacturers to come together and sing from the same page. However, most of the operators are not ready to sing along. Operators are worried that with a broader connectivity, hackers may have access to the systems. This creates a need for numerous sophisticated firewalls to protect company data and the food production integrity. There are concerns on job security and the emergence of anti-technology clauses. According to most operators, there cost is a main concern. Installations may not cost much as the system will integrate well with the existing smart kitchen appliances and equipment. However, the cost of repairs and maintenance can be very high. While a high-tech system will offer top-notch benefits in a commercial kitchen, it can be delicate in a kitchen environment. Given the many hurdles, operators and manufacturers are now leaning towards the development of a lesser advanced system. The problem is that, operators want the convenience of a high tech system that is able to do everything without much hassle, but there are whistles and bells that stand in the way of achieving this. Again, there is reluctance from operators to store and analyse the data that the connected kitchen promises to deliver. Juan Martinez, principal at Profitability, an engineering consulting firm, says that an easier breakthrough would be a POS system that sends orders to the equipment and initiates their action. There should be temperature tracking systems for HACCP, flyers connected to the POS and automated dispensers. There are numerous benefits of sending and receiving data in the kitchen. 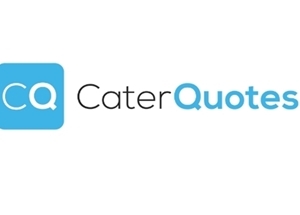 Operators still have miles to go if they are to have the required resources and the skills to implement the connected kitchen technologies. When Can The Connected Kitchen Be Implemented? There are pressing foodservice operational needs that will demand for integrated connectivity. There are many challenges but according to Martinez, it is a question of when and not if. From the operator's side, factors such as food safety and HACCP compliance are pushing the cogs to have kitchen connectivity. Other factors include close monitoring of the cooking cycle and the imminent changes in the electric industry. Zabrowski observes that utilities are recognizing that there are power surges at some point during the day and at other times, there is a deficit and as such, changes are being made to enhance efficiency. Due to these power surges and deficits, customers will be incentivized to use power when it is at its maximum and when renewable sources of energy, such as solar are online; they will be penalized for using the energy at times when demand is at its highest, in the evenings, when renewable energy sources are not available. Restaurants will be affected by this. Knowing when the hotel appliances need energy and when they are using it versus when they don't, will help a big deal in connectivity. It will impact the operator in terms of cost. There are operators who feel that a rise in labour cost will finally lead to kitchen connectivity and full kitchen automation. Up to now, labour costs have not been as high as many expected they would be. However, the industry is inching towards a period where labour costs will be unbearable to operators. In the meantime, even kitchens that are partially connected are agreeing that there is need for smarter connectivity; operators should be able to control all activities from a remote location or through a web based platform or through a mobile app. Chain restaurants are finding it hard to co-ordinate their staff as many mobile applications and software are needed to coordinate everything. Ergo, on top of paying for labour, you pay for the labour management system. This has created the need for a swift way of management. There is a lot of human error expected during the manufacturing and production processes. Kitchen connectivity can help eliminate that as data can be fed accurately into the system. Given the advance in equipment and appliance technology, having kitchen connectivity will go a long way in enhancing the production process. There are appliances, for instance ovens, which can be controlled by a mobile device. Other equipment as kitchen table fitted with sensors to detect ingredients in raw food substances and many more. Perhaps in the next couple of years, all the dots will be joined. Though the connected kitchen has been online since 2013, there is still a hill to climb to achieve total connectivity.